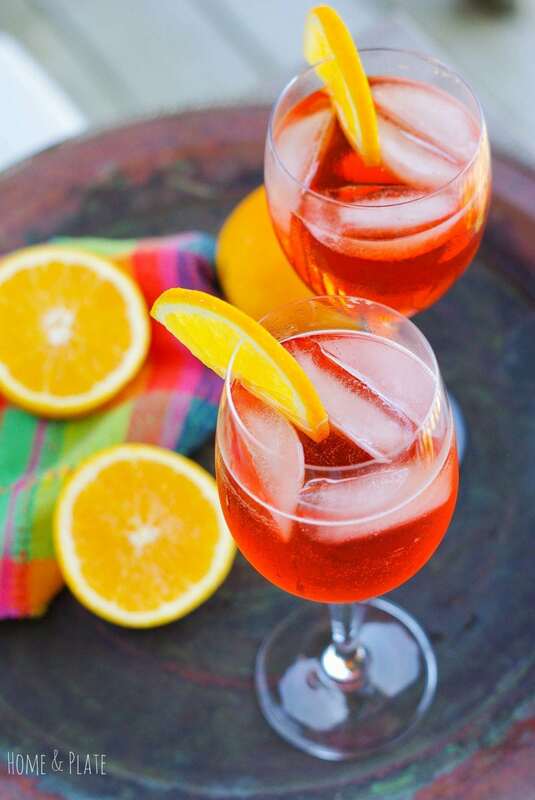 Perfect for Mother’s Day or a bridal shower, these Italian Aperol Spritzers taste refreshing and are the perfect cocktail to celebrate any occasion. 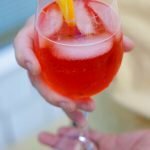 I have discovered a great summer spritzer using Prosecco and Aperol that is light and bubbly and all the rage in Italy. 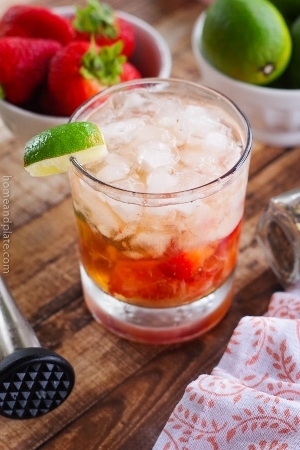 What I love about this cocktail is that it’s easy to make and perfect for entertaining friends. In fact, it’s ideal for a crowd or for a special occasion like a bridal shower or New Year’s Eve. My mom turned me on to this wine spritzer after a trip to New York to visit a college friend. Her friend had just returned from Italy where this spritz cocktail was being served in all the cafés. 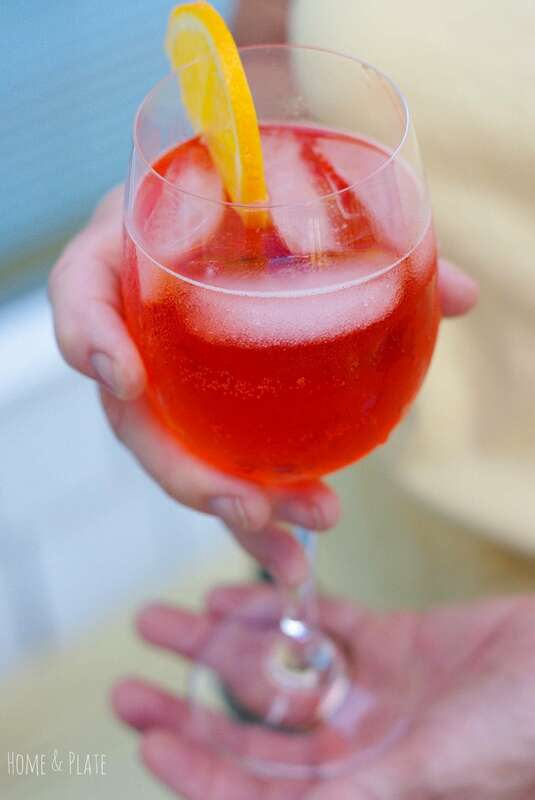 Apparently, Italian Aperol Spritzers are Italy’s hit drink. This is the aperitif that folks are enjoying on the piazzas of Italy. Bring a bit of Italy home with you. I agree that it’s a great pre-dinner cocktail. It’s lighter in alcohol than than the average cocktail so it won’t ruin dinner. My mom served it to me during a recent trip to visit the folks this summer on the Outer Banks in North Carolina. We enjoyed it on the decks overlooking the ocean. If I can’t be in Italy to enjoy this cocktail, then the beach is the next best place to be. Wouldn’t you agree? This cocktail is as good as our old standby, Orange Hemingways. Have you tried one of those cocktails? But for this one, imagine a bubbly concoction of sparkling Prosecco white wine paired with soda water with the underlying flavor of oranges, herbs and spices. Yes, I loved it! It’s not new. In fact, it’s Aperol’s classic cocktail. But it’s new to me. 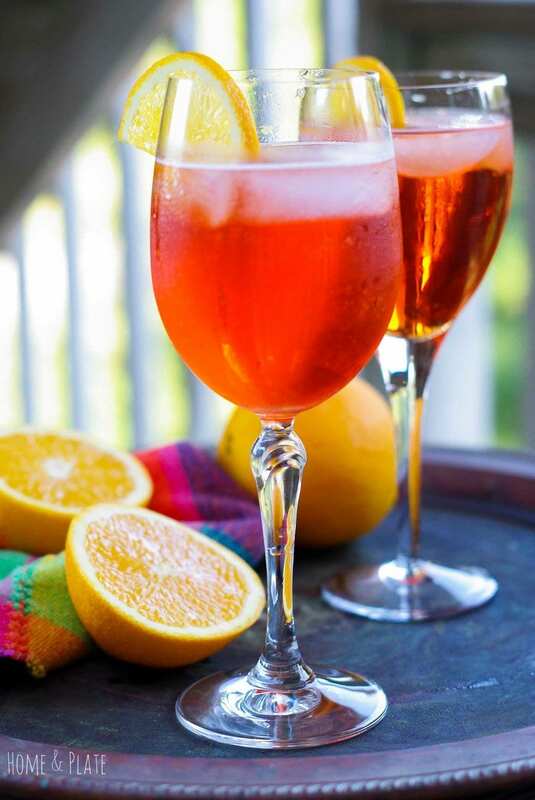 Have you heard of an Aperol Spritz? The recipe is listed on the back of the Aperol liqueur bottle and requires just a few ingredients. This light and sparkling cocktail goes down easy. Prosecco is not pricey but be sure to get a good bottle of the bubbly. A bottle of Aperol was under $20 and I found it with all the other liqueurs. We used Perrier but any club or soda water would do. 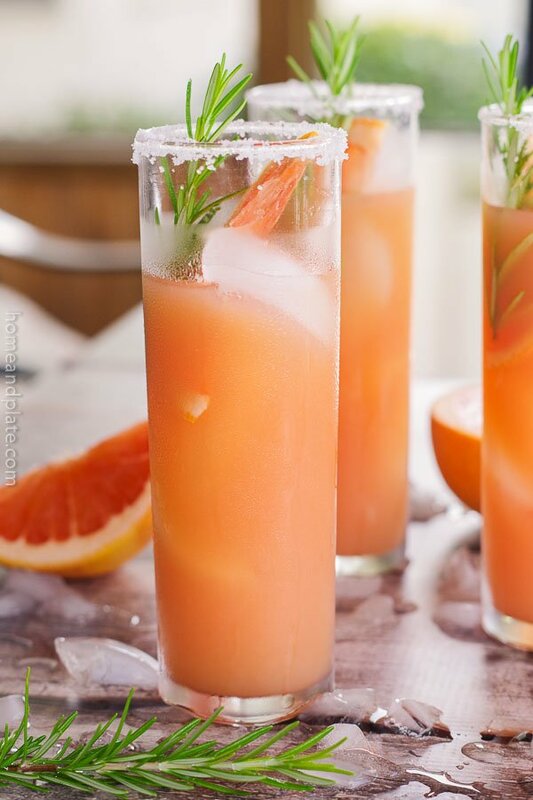 Freshly sliced oranges garnish the rim and add a little extra sweetness to the drink. Now I like to experiment with cocktails but I don’t have a full bar in my house. A few bottles of liquor, some specialty liqueurs and a variety of wines are stocked. For this recipe, all I needed was the Aperol. I had the other ingredients on hand. I can’t wait to share this recipe with my neighbors and friends. It’s possible that I may even ask for this cocktail next time I’m out for dinner. I wonder if the bar will have it? Afterall, I’m not in Italy! 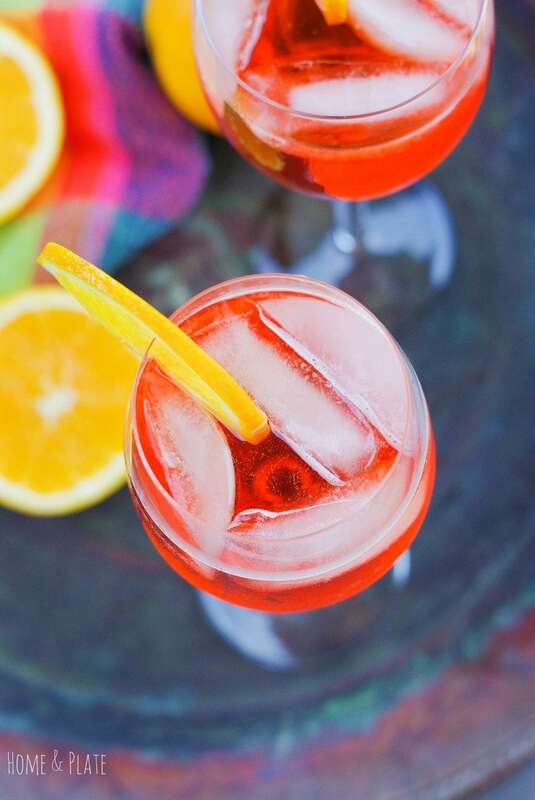 Perfect for Mother's Day or a bridal shower, these Italian Aperol Spritzers taste refreshing and are the perfect cocktail to celebrate any occasion. Place ice cubes in a glass followed by an orange slice. Add 3 parts Prosecco and 2 parts Aperol. Top with Perrier or other soda water. Garnish with an orange slice and enjoy. Thanks Sue…it’s an easy cocktail and perfect for these hot temps. I am a huge Prossecco fan and I have a wine cooler full of it to prove it! 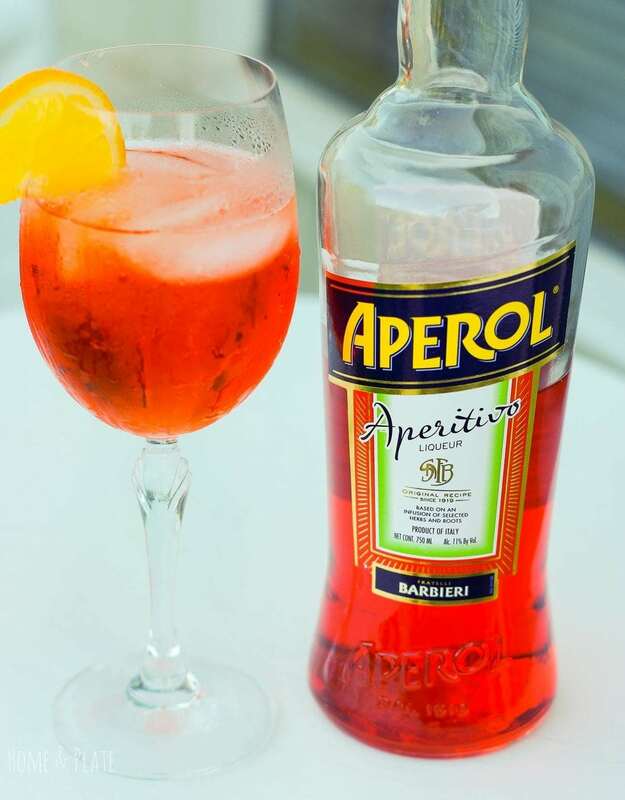 I have not tried Aperol but I’m excited to give it a try before summer ends around here! Beautiful pics too! I usually shy away from Aperol but I love Prosecco… I think this might be the perfect way to try it? Not only is this absolutely gorgeous it looks so refreshing and easy, I just love it! 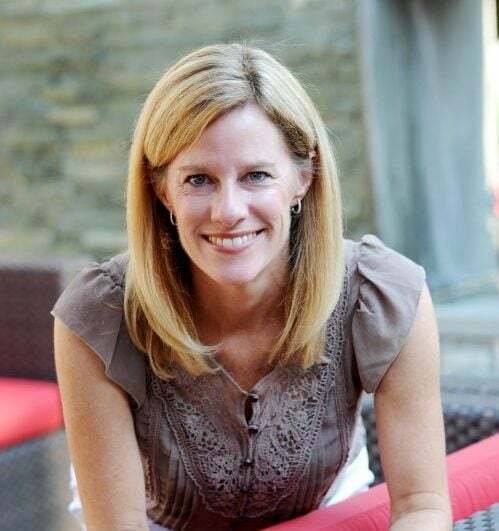 Thanks Megan…it’s a new favorite for summer. I love to make this drink with Proseco! It’s sweeter and less expensive than bubbles! !